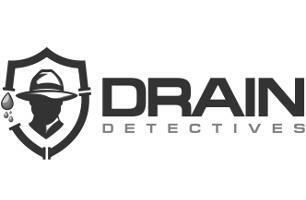 Drain Detectives (London) Ltd - Drain/Sewer Clearance based in Beckenham, Kent. Drain Detectives are the experts in finding the reasons for your drain problems. Whether it is a simple fat blockage, root ingress or even a broken drain, our experienced drain engineers can find the real cause of the problem and offer you the most cost effective solution. Fast response unblocking drains for commercial and domestic clients, 24 hours a day, 365 days a year. Drain inspections to detect any drain problems or pre-purchase drain surveys for house buyers. Cracked or broken drains? We offer no dig drain repairs such as patches & lining or if necessary excavation. We are pleased to offer customers a one month guarantee on drainage work when we have successfully cleared their blocked drains*. Whether you have a blocked drain in the garden of a small terraced house or need a full CCTV drain survey for a large retail park, we can help. Our drain engineers provide the full range of drain and plumbing services throughout the South East of England including Kent, Surrey, South London, East Sussex and West Sussex, from Ashford and Maidstone across to Bromley, Croydon over to Weybridge and Woking, and Wimbledon and Streatham down to Eastbourne.